Excitation-contraction coupling of skeletal muscle. A muscle fiber is excited via the nerve by an endplate potential and generates an action potential, which spreads out along the surface membrane and the transverse tubular system into the deeper parts of the muscle fiber. 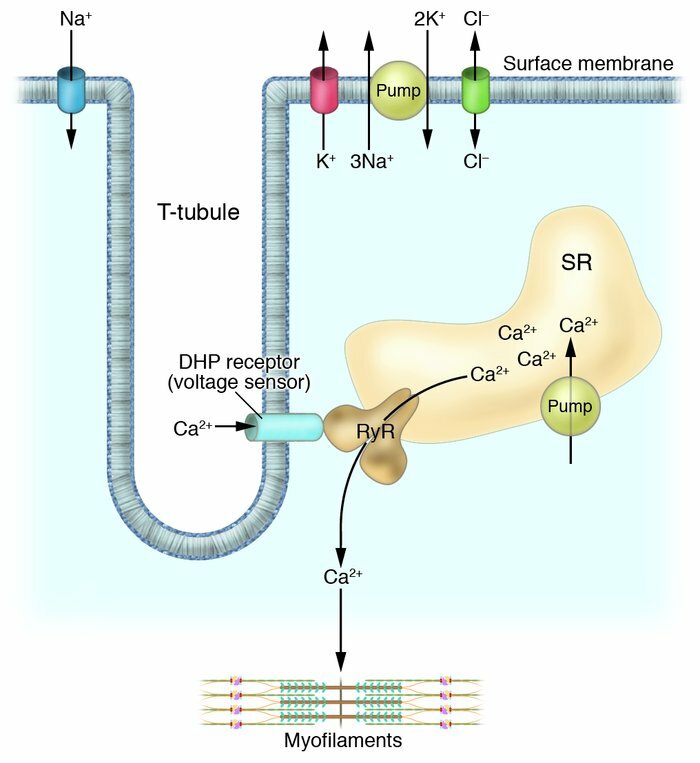 The dihydropyridine (DHP) receptor senses the membrane depolarization, alters its conformation, and activates the ryanodine receptor, which releases Ca2+ from the SR, a Ca2+ store. Ca2+ binds to troponin and activates the so-called contractile machinery.